Black trousers from Saint Laurent. Made of lamb leather. Side zip fastening. 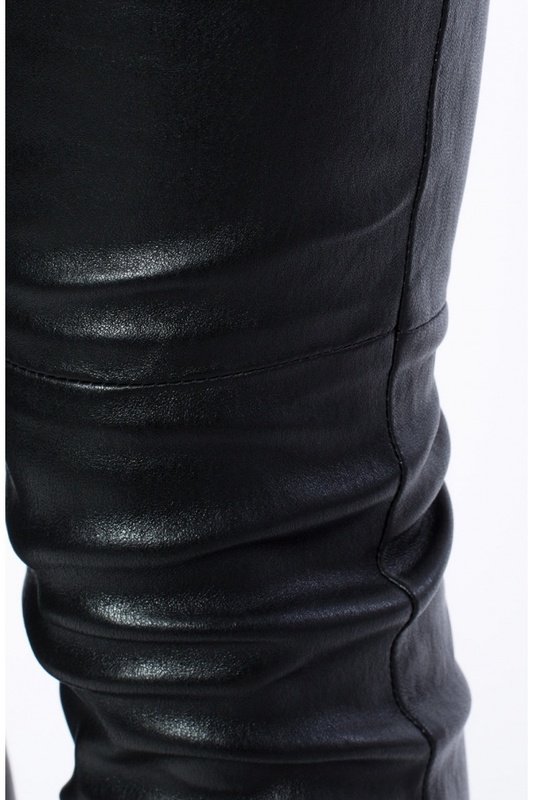 Tapered, cropped legs with zipped cuffs.